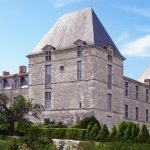 Château Feely®, winner of two Best of Wine Tourism gold trophies and maker of award winning natural, organic and biodynamic wines has partnered with Michelin starred chef Vincent Lucas to launch a unique gourmet food and wine experience. 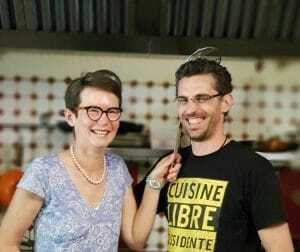 Caro Feely, passionate about food and wine pairing, and Vincent Lucas, passionate about innovative and creative cuisine, began working on a pairing collaboration in 2017. The 2018 experience offers new flavours, the possibility of a vegetarian option and a touch of sweetness to finish. 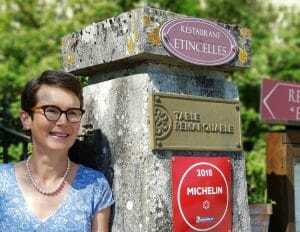 Both Caro, an Irish citizen who grew up in South Africa, and Vincent, from Nice, are proud of their adopted region ‘le Périgord’ in South West France and its history, food and wine. 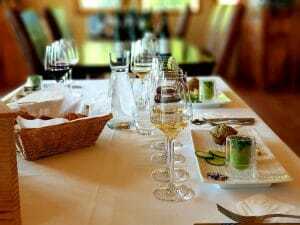 The experience starts with a visit of Feely vineyard followed by tasting 4 Feely organic biodynamic natural wines and 4 taster pairings created by Vincent Lucas. Guests continue the pairing voyage with 3 Bovetti organic chocolates also produced in the Périgord and 3 Feely wines followed by a finale of organic coffee or tea or fresh mint from the Feely potager. An example of the pairings is Feely Sincerité, a zesty pure sauvignon blanc grown on limestone with fresh citrus flavours and minerality paired with peas and Granny Smith apple with coriander and a pea, anise and cauliflower mousseline. The pairings are adjusted to suit vegetarians and vegans on request. The Gourmet pairing experience is 40 euro per person and is available Monday to Saturday 16h30 to 18h30 by reservation at least 24 hours in advance. 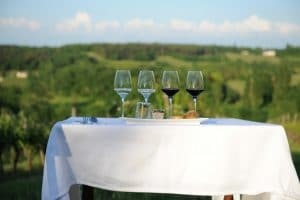 Feely organic, biodynamic and natural wines are sold to gastronomic restaurants in Ireland and Holland and served in several Michelin starred restaurants in the Dordogne, South West France, where the vineyard is located. 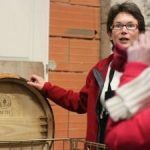 The visit complements the wide variety of wine experiences from one hour to five days offered by Chateau Feely® including certified Wine Spirit Education Trust courses. 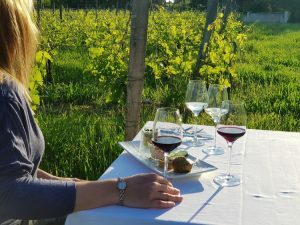 The Feelys share their passion for wine and for organic and biodynamic farming with food and wine experiences, wine tours, wine school and multi-day walking tours in South West France. Books signed by the author, gift vouchers for the vine share, accommodation, tours and wine can be bought directly from www.ChateauFeely.com. High resolution photos, details of the visits available at Chateau Feely and their Best of Wine Tourism Gold trophys are available on demand caro@ChateauFeely.com. Sean and Caro Feely moved from Dublin city to pursue their dream of organic wine farming in France in 2005. They make award winning certified organic and biodynamic wine (www.chateaufeely.com ); offer luxury ecological accommodation, a wine school and multi day wine tours including vineyard walking tours. Caro Feely’s books about the couple’s experience in France include: Grape Expectations, Saving our Skins and Glass Half Full. She has also written Wine, the essential Guide. 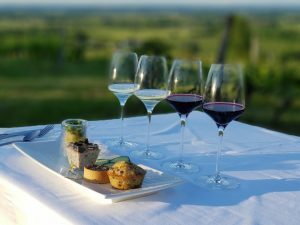 The Chateau Feely® blog explores the theme of why choose organic wine, food and wine pairing and wine. Originally from Nice, Vincent Lucas is a chef whose dream is to give meaning to his life and not just his passion. He pushes the limits with an imaginative and exciting cuisine with a deep respect for French tradition, terroir and the seasons. Vincent Lucas is Michelin starred chef at the restaurant and chambre d’hôte ‘Etincelles’ (http://www.gentilhommiere-etincelles.com/en) created with his wife Anne in Sainte-Sabine Born in the Dordogne. This creative and highly regarded chef likes to surprise with unexpected sweet-sour and earth-sea combinations as can be discovered in his cookery book Ma Cuisine du Périgord. Mouthwatering! Oh how I long to be there too, with such beautiful photos and descriptions how couldn’t I.